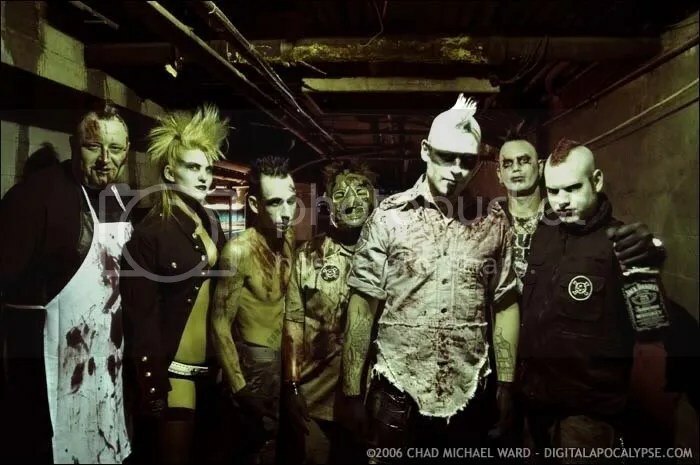 After one and a half years of continuous touring activities (also supporting German legends RAMMSTEIN along the way), one of the most influential electro-industrial acts of our time returns with a bang: COMBICHRIST! The red hot new single “Never Surrender” is a raw and dry beat attack that discharges into an infernal mayhem of a chorus. With this aggressive groove monster, Andy LaPlegua and band are bound to take the alternative dancefloors around the world by storm, making the single a formidable appetizer for the new album “Making Monsters”, which is released three weeks later. The new COMBICHRIST album is loud, massive and direct, featuring incendiary floor fillers that are among the hardest hits Andy and his lads have ever produced, but at the same time minimal electro influences, menacing slo-mo-steamrollers and a sprinkling of melodic elements have been seeping their way into the sound, evolving “Making Monsters” into an inferno of the intense kind. This is easily the most versatile release of their career.